Last Saturday I attended the annual Cactus & Succulent Show & Sale hosted by the South Coast Cactus & Succulent Society at my local botanic garden. 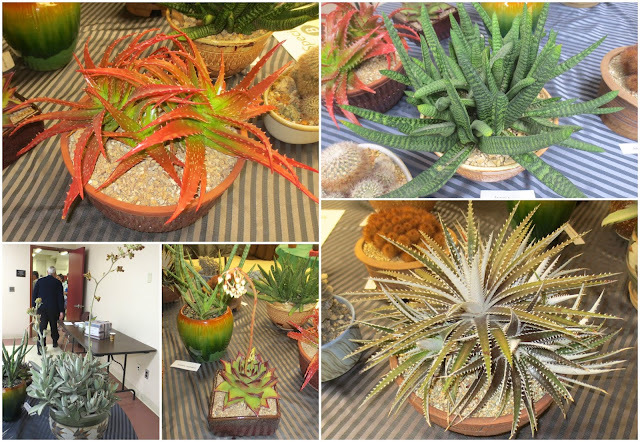 The event is held inside an auditorium so the light isn't great for photographs but I've assembled the best of the photos I collected to share with you. Two classrooms off the main auditorium were used for the show specimens. The first classroom contained a diverse mix of plants presented by the Society's members. The second classroom contained groups of special plants assembled by individual collectors. This was my favorite of the three pieces. Labeled "Surfing USA," it was constructed using Kalanchoe thyrsiflora and what I think is Haworthia mounted on driftwood. 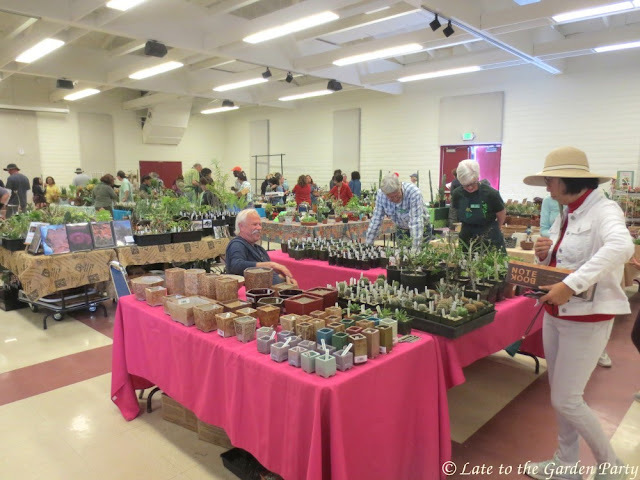 The items for sale in the main auditorium included not only cactus and succulents of various types and sizes but also pots, rocks, and books. I didn't buy a lot on this trip but I didn't come home empty handed either. That's it for me this week. Our weekend weather is expected to be very pleasant, assuming that the wind finally dies down. I hope to make the best of it by spending time in the garden. I hope you have the opportunity to putter in peace as well. 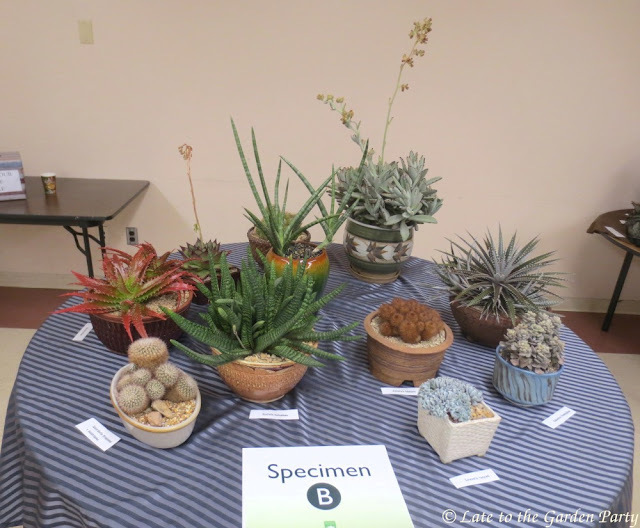 Looks like a great show, with interesting specimens! The nurseries here are finally starting to get some Mangaves other than 'Macho Mocha' for sale -- although nothing that I want to buy just yet. I admire whoever produced that 'Macho Mocha' with all the leaves, I can't get mine to produce more than three at a time. That seems like a good guess to me! A lot of interesting specimens. I liked your favorites as well. 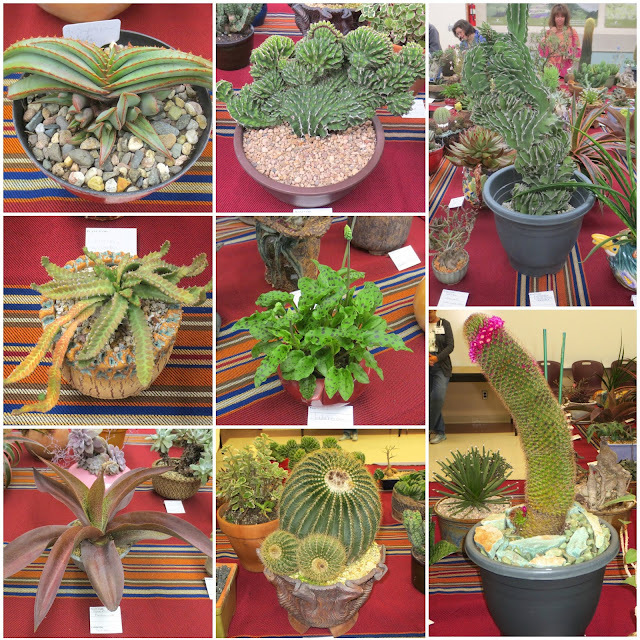 So many cool plants! Enjoy your weekend gardening. I've been out cleaning up beds here and at my clients, it's so nice to be out in the fresh air. Tomorrow is forecast to be in the 70s! Wow, that's a temperature change. Enjoy it, Eliza! Looks like it was an exciting show - love your haul! 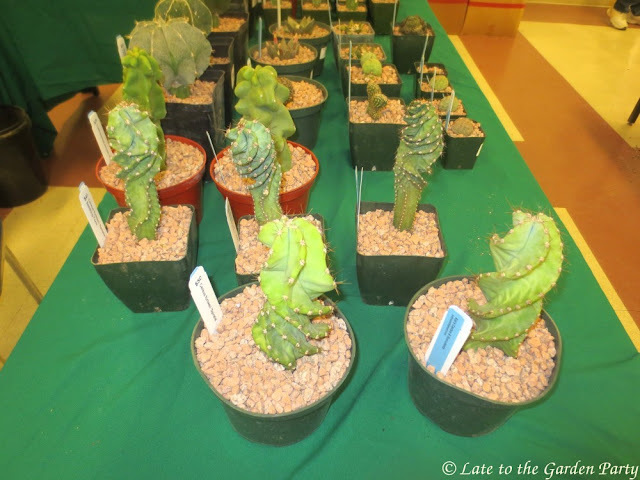 ;-) And wouldn't I love to have something like that Hydnophytum formicarum! 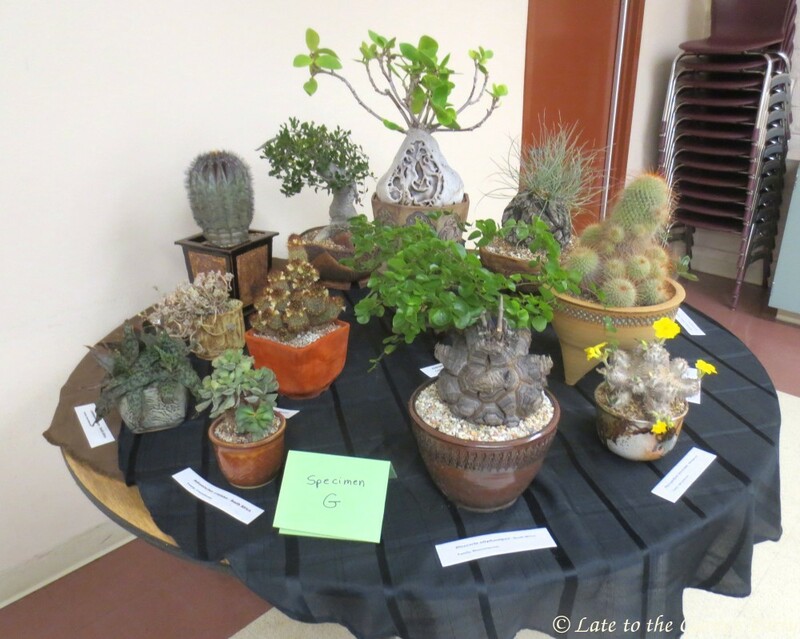 I think that same Hydnophytum has been featured in at least 3 shows I've attended. The ants' work is quite decorative! I wish I owned 'Snowflake'! I can't imagine how many years it took to grow a specimen like that. Euphorbia polygona 'Snowflake' was my fav from your pics as well! I know the feeling you get when there are so many cool plants to photograph but all the light fluorescent! I've got what I think is a Euphorbia polygona but, regrettably, it's not 'Snowflake'. It could be horrida. After years in a pot, I finally planted it in the ground last year and it's already producing offsets but I expect I'll be very old before it reaches the size of the show specimen. What fun, and I love your purchases. 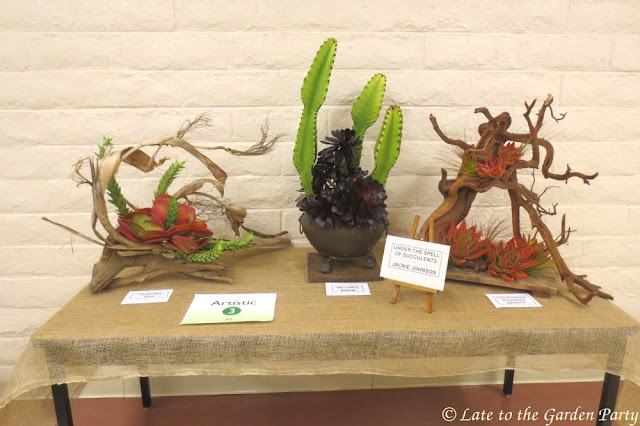 There are shows with a far broader selection of cactus and succulents than this one, Loree, but a 5-mile drive is far easier than a 40 to 50 mile drive on LA's freeways. Weird and wonderful. Some of them don't look real. 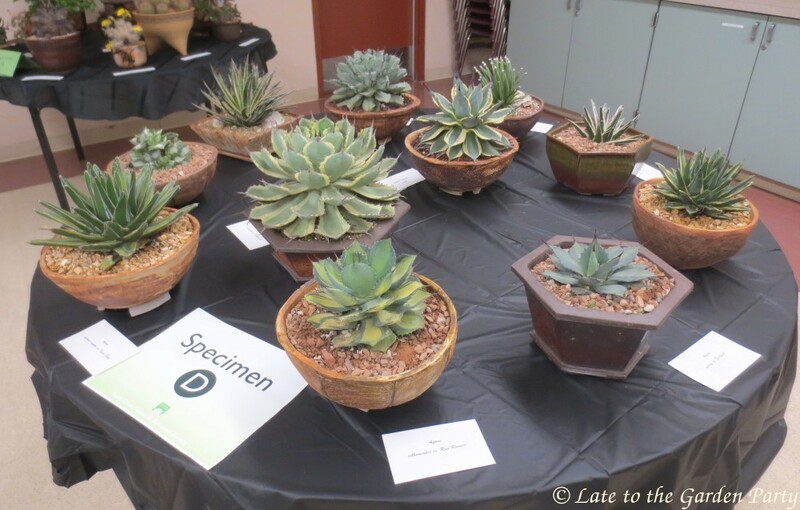 I can see that once you get hooked on succulents it is a slippery slope. And of course you can grow them outside so you are not restricted by the size of your greenhouse. 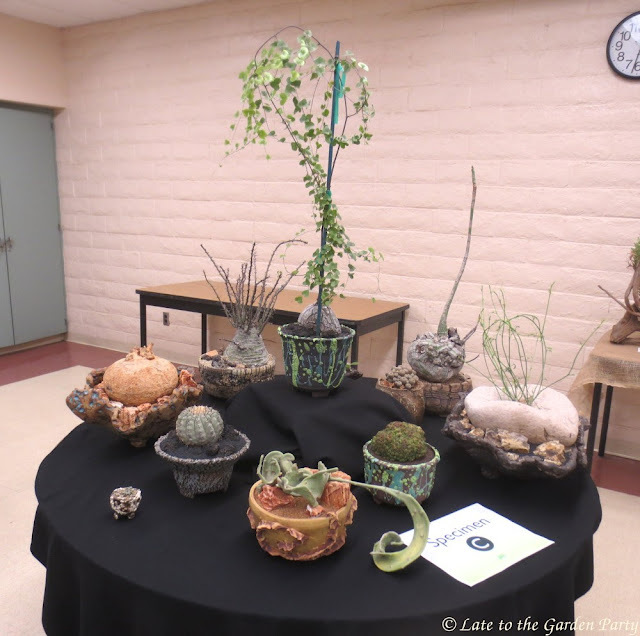 That I find myself veering in the direction of cactus (as opposed to my usual succulents) indicates a serious deepening of my obsession, Chloris. I enjoy seeing pictures of this event each year. 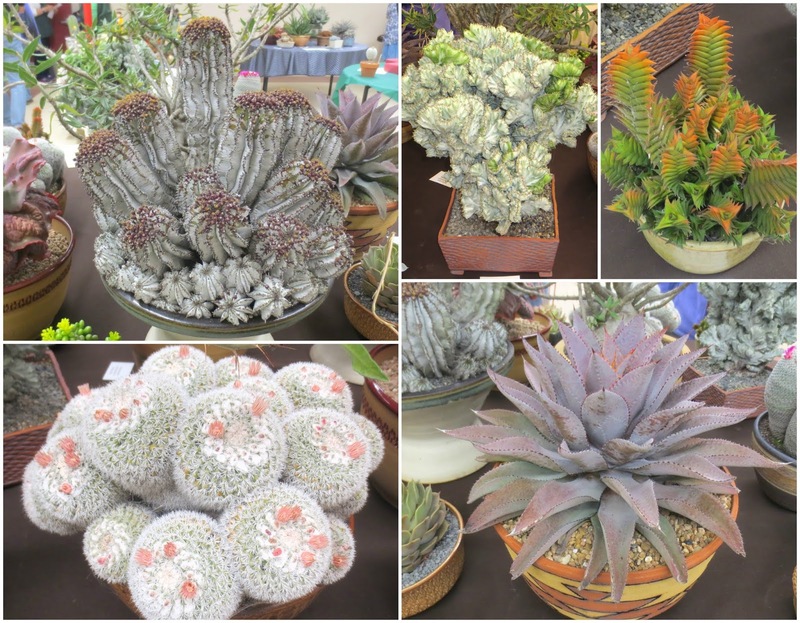 So many cool and unusual plants. Our own cactus and succulent society sale is in September and your spring post always whets my appetite for it. Hydnophytum formicarum is really interesting. So cool how plants and animals have evolved together. Your restraint is admirable. I'm running out of spots to put plants, Peter, other than pots. And then the issue becomes: where do I put the pots? Nice show. Some beautifully grown plants there. The Gasteria batesiana is particularly good. 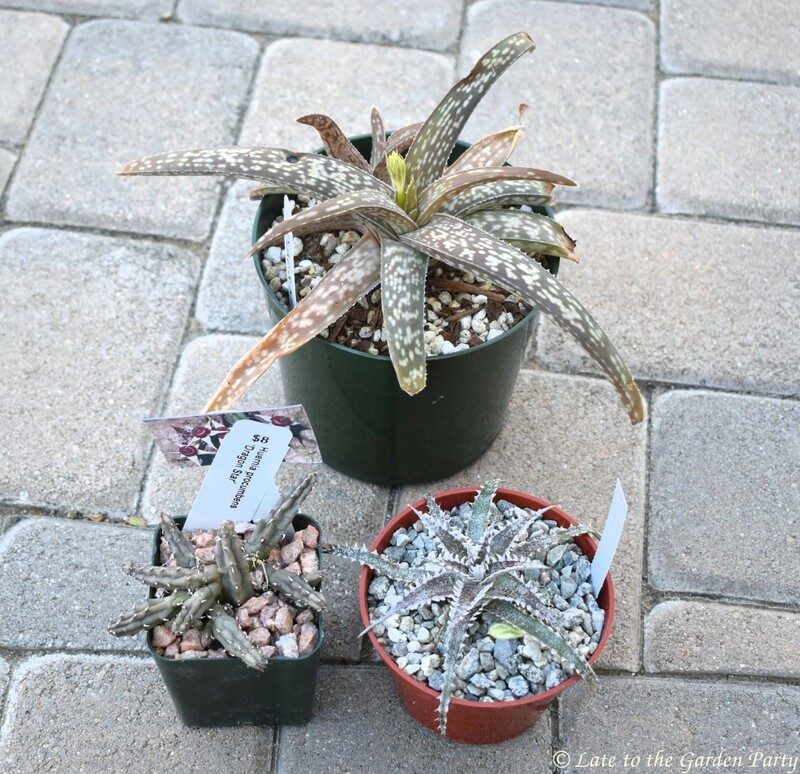 The other plant on 'Surfin USA' arrangement might be Aloe juvenna which will make those long stems. That is indeed an excellent arrangement! That particular member of the SCC&SS always does a great job with her arrangements. 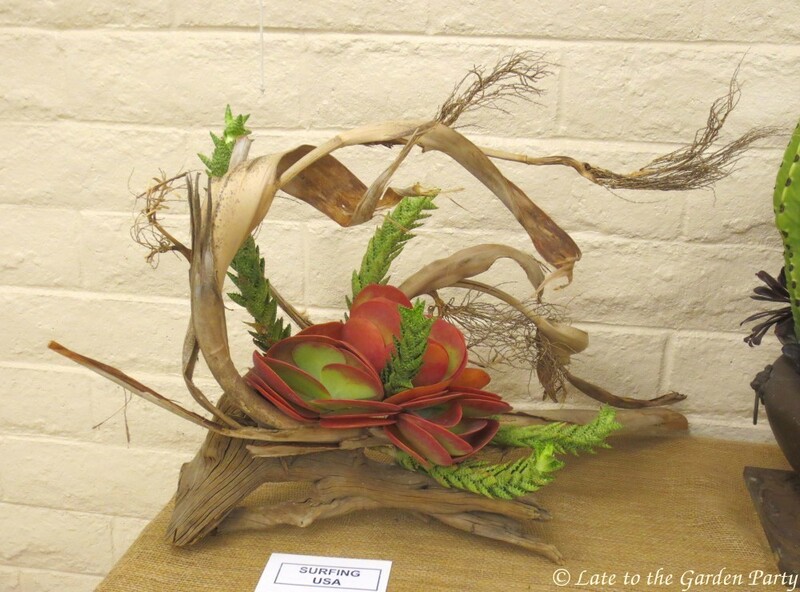 As I recall, she also submits arrangements to the bromeliad show at Rainforest Flora.